Not all of us live in peach-growing areas. And for those of us who purchase peaches at the grocery store, not a road-side stand, well, we’re often faced with choosing the perfect unripened peach from a bushel of unripe peaches. But that’s not the hard part, the challenge comes in ripening said unripe peaches. And the tender stone fruit can be finicky when it comes to ripening off the vine. So that leaves us with the question, how do you ripen peaches? There are a few methods for ripening peaches, but here is what I’ve found to be most effective. If you don’t mind waiting a few days, arrange the peaches, stem-side down, on a cotton kitchen towel and lay another towel over top. Make sure the peaches are out of direct sunlight and not touching each other. Let peaches sit at room temperature for a few days to a week. You’ll know they’re ripe when they smell peachy and the stem side is slightly flattened from its own weight. Although not the best method, if you’re short on time, place a few peaches in a paper bag, lightly fold the top down, and let sit at room temperature. Check for ripeness after 24 hours. Once your peaches are ripe they’re ready to be eaten! Can’t eat 6 peaches in a day? 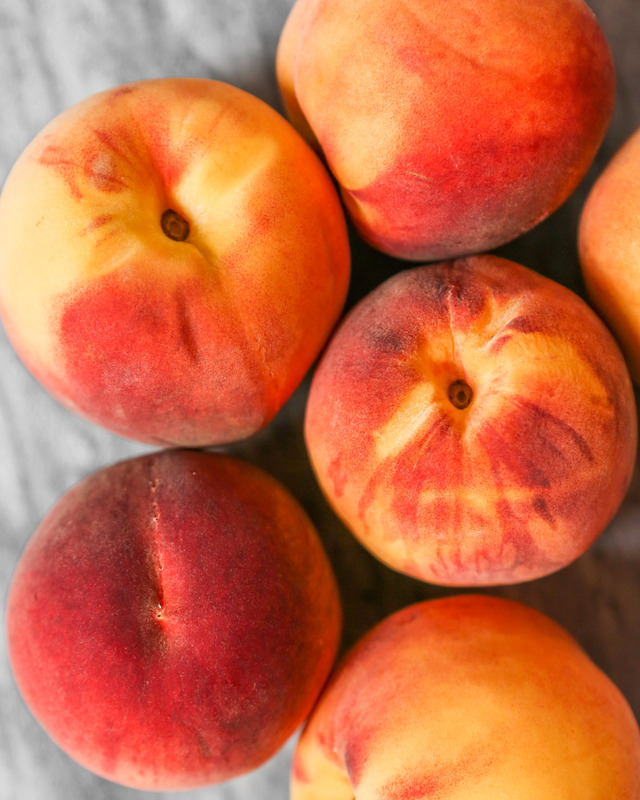 You can store ripe peaches in the refrigerator until ready to eat, just be sure to eat them within a few days for the best texture and flavor. I love using ripe peaches in cocktails, particularly this Peach & Thyme Spritz—the perfect summer drink! 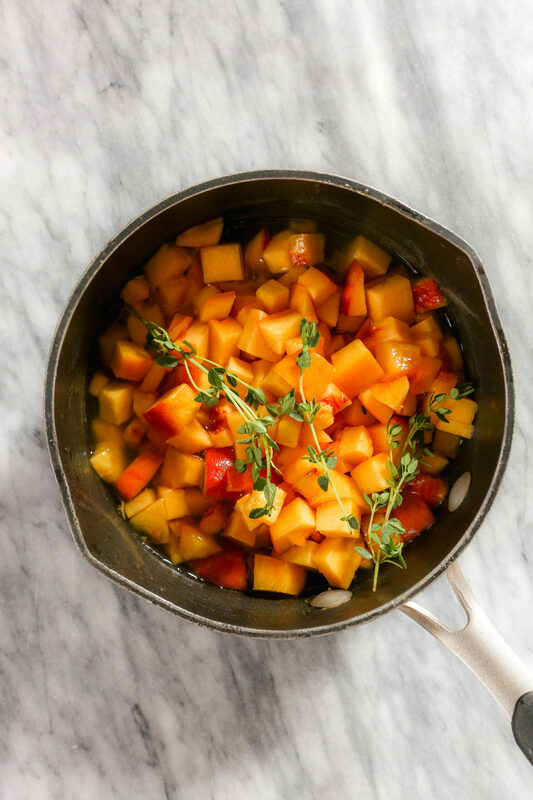 Much like strawberries and apples, peaches are fabulous in salads. I love this herby Simple Summer Salad with Peaches and Burrata. Layer slices of sweet peaches, deli turkey, Manchego, and basil between two hearty pieces of whole-grain bread for a delicious and satisfying summer sandwich. Bake up a batch of Peaches ‘n Cream Scones for breakfast this week!